Birds of a Feather sessions at SIGGRAPH Asia 2019 are graphics-related, attendee-organized, informational discussions of shared interests, goals, technologies, arts and/or backgrounds. Those sessions are to focus on topics that are relevant to computer graphics or interactive techniques community, celebrating, connecting and enabling new collaborations. Share your ideas and interests by proposing a Birds of a Feather discussion topic that will be held at SIGGRAPH Asia 2019. All Birds of a Feather requests are subject to a review and approval process. Submissions open July 2018 and remain open until 22 October 2018. A Birds of a Feather (BOF) meeting is an attendee-organized, informational discussion of shared interests, goals, technologies and/or backgrounds that are graphics or interactive techniques related. The key word there is “discussion” - attendees gather to discuss a topic of interest, and is up to organizers to define the format. All Birds of a Feather requests are reviewed by the Conference Chair for approval. Exceptions will be considered for reunion-type or industry non-profit groups for some requirements. 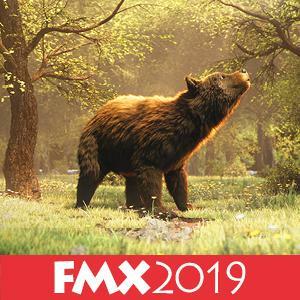 BOF session requests can be made through the SIGGRAPH Asia Submission System until 04 October 2019. Make sure all the information in your submission is complete. Missing information may delay processing your request. A separate online request form must be filled out for each event, even if from the same submitter/organization. BOF sessions can be no longer than two hours including set up and teardown. Organizers of longer events, or those who submit multiple requests for the same day for more than three hours, should consider becoming a co-located conference. BOF sessions cannot start prior to 9:00 AM or end after 6:00 PM at the Brisbane Convention & Exhibition Centre. BOF meeting rooms are assigned first-come, first-served based on room setup and expected attendance. There are multiple BOF rooms in the Brisbane Convention & Exhibition Centre. Each has a permanent set for 70-130 people and is set up in theatre style. No changes to these setups are permitted. Attendance cannot exceed seats in any meeting rooms. A bigger set up at the convention centre is also available for presentations with a strong national or international focus, or presentations that are highly relevant to conference. This will be reviewed by the Chair and conference management. Standard Audio/video equipment is provided at no charge, unless there are additional requirements, the BOF organizer will have to take care of the additional cost. Presentations must be approved by conference management. If you are interested, check the appropriate box provided as you are filling out your BOF submission and the committee will be in touch with you to verify. Do not contact the convention centre until you have received your confirmation from SIGGRAPH Asia 2019 Conference Management. Venues cannot assign meeting space or confirm details until this approval is received. Meeting space in the convention centre is complimentary, but limited. Payment for all services (food and beverage, additional audio/visual, etc.) is the responsibility of the BOF organizer. Audio visual is provided in the BOF rooms. All audio visual is the responsibility of the organizer. Organizers may provide their own or order through the contact provided in the BOF confirmation if additional equipment is needed. If your request is approved, you will receive an email acknowledgment within two weeks that includes all necessary contact information. BOF meetings held in the convention centre will receive a room assignment four weeks prior to the conference. All BOF event information will be published on the SIGGRAPH Asia 2019 website and the conference mobile app. BOF meetings must be held at the Brisbane Convention and Exhibition Centre and will be publicized on related materials. Events in other locations will not be advertised in any SIGGRAPH Asia 2018 conference materials. Exhibitor Talks: Exhibitors are not approved to use BOF meeting rooms. Exhibitors are required to complete an exhibitor talk form provided by exhibition management. If you require more information on the exhibition, please click here.